As a small thank you for the sacrifices they've made, U.S. Veterans and up to three guests can enjoy experiences that matter - including brand new attractions and events - for free. From now through July 4, 2018, SeaWorld is offering U.S. veterans and up to three guests free admission to all three of its parks – SeaWorld Orlando, SeaWorld San Antonio and SeaWorld San Diego. U.S. military veterans and retirees may redeem admission for themselves and up to three guests online at www.WavesofHonor.com. Since SeaWorld Parks & Entertainment started the Waves of Honorprogram in 2005, more than 9 million active military, veterans and their families have visited the parks for free, which represents an estimated value of $300 million. 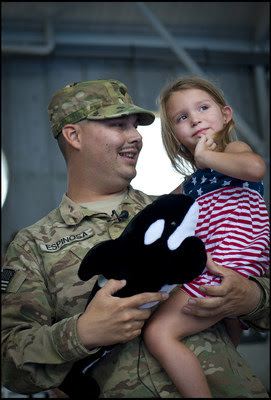 "The men and women who serve this country in the U.S. Armed Services are incredibly important, and we're proud to extend our gratitude to these brave men and women and their families," said John Reilly, interim chief executive officer of SeaWorld Parks & Entertainment. "We hope this invitation to veterans allows them to make incredible memories with their families at our parks as a small thank you for all they have done for our country." This offer is also available at Busch Gardens Tampa Bay and Busch Gardens Williamsburg. All tickets must be redeemed online and are not available at the front gates. Additional discounted admission tickets and offers are available for active military and veterans through MWR and ITT offices on U.S. military bases and online at www.WavesofHonor.com. These offers are available year-round and may differ per park. Electric Eel at SeaWorld San Diego: The tallest, fastest roller coaster in San Diego is here—a multi-launch coaster with high-energy twists, electrifying loops and inversions. Launched on May 10, Electric Eel features accelerations of more than 60 miles per hour in a matter of seconds, rocketing riders skyward nearly 150 feet where they'll brave an inverted "heartline" roll and a twisting loop for an exciting feeling of airtime as they reach the peak of the coaster before breathlessly returning to the station. Complementing the Electric Eel roller coaster is a hypnotizing live eel habitat featuring a collection of moray eels. The eel habitat, located at the edge of the Ocean Explorer realm already part of SeaWorld, features large viewing windows where guests can plunge into the world of the eel as they swim and dart through the caves and crevasses of their naturalistic deep-ocean environment. Both rider and non-riders can also learn about the elusive eel through an interactive game and an exhibit with real California moray eels. Plus, SeaWorld San Diego have partnered with WILDCOAST to raise awareness for Marine Protected Areas (MPAs). Guests will be able to learn more about MPAs and the importance of protecting ocean ecosystems in the habitat. Free Beer at SeaWorld Orlando: Now through September 2, from 10:30 a.m. to one hour before park close, complimentary domestic and seasonal beers will be available to guests 21 years of age and older. Guests can visit Mama's Pretzel Kitchen Patio and receive up to two complimentary 7-ounce beers per visit. The park will rotate beer offerings throughout the summer starting off with SeaWorld's very own Mako Red Ale. Bud Light, Coors Light, Miller Light, Yuengling and more will also be featured throughout the summer. Battle for Eire at Busch Gardens Williamsburg: An exhilarating new adventure is underway at Busch Gardens® Williamsburg with the recent opening of the innovative virtual reality attraction, Battle For Eire™—Action VR Ride. With Battle For Eire and the 360-degree virtual reality, riders can have a unique experience each time they ride. Battle For Eire is the story of a heroic fairy warrior, Addie, and her quest to rescue the Heart of Eire from evil villain Balor. This one-of-a-kind ride is a marriage of a motion-based theater simulator with state-of-the-art 360-degree virtual reality headsets, creating a thrilling experience unlike any other in the theme park industry. Riders are completely immersed within the story and be able to see, hear and feel actions happening all around them, both through the virtual reality headsets and within the motions of the simulator. Free Beer at Busch Gardens Tampa Bay: Now through August 5, guests can get a taste of the park's beer garden history when they visit the former Hospitality House, now called the Garden Gate Café, to receive two complimentary beers during every visit to Busch Gardens Tampa Bay. Every two weeks, new featured beer brands will be highlighted. 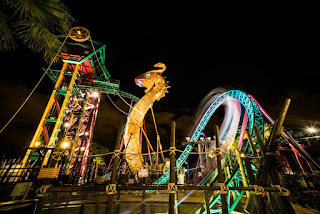 Summer Nights at Busch Gardens Tampa Bay: From May 24 through August 5, guests can experience endless energy and thrilling rides from day into night. As the sun goes down, the party heats up at Busch Gardens Tampa Bay during Summer Nights. Explore the park after dark with extended park hours to 10 p.m. on select days. 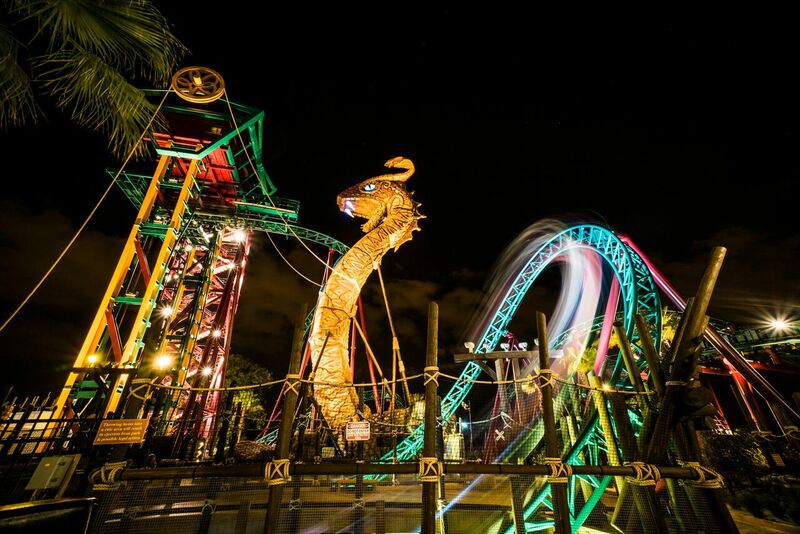 Dance the night away at themed party zones throughout the park and take on Florida's top thrill rides in the dark. Plus, indulge in delicious food like steak chimichurri, chicken waffle sandwich with blackberry pepper jelly, smoked beef brisket sliders with peach slaw, hummus topped with curry-roasted cauliflower, chilled shrimp with watermelon & tamarind glaze, mini donuts, funnel cakes and more, with special Summer menus. 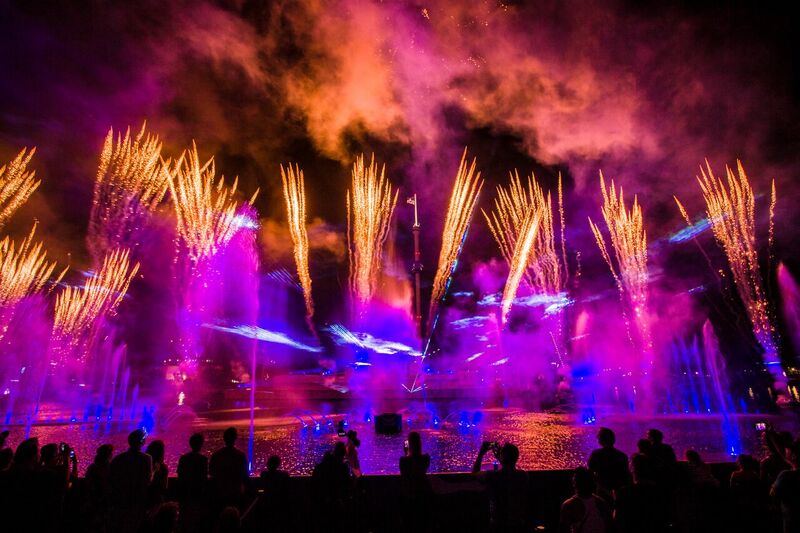 SeaWorld Parks & Entertainment™ is a leading theme park and entertainment company providing experiences that matter and inspiring guests to protect animals and the wild wonders of our world. We are one of the world's foremost zoological organizations and a global leader in animal husbandry, behavioral management, veterinary care and animal welfare. We also rescue and rehabilitate marine and terrestrial animals that are ill, injured, orphaned or abandoned, with the goal of returning them to the wild. The SeaWorld® and Busch Gardens® rescue teams have helped more than 31,000 animals in need over the last 50 years. We own or license a portfolio of recognized brands including SeaWorld®, Busch Gardens® and Sea Rescue®. 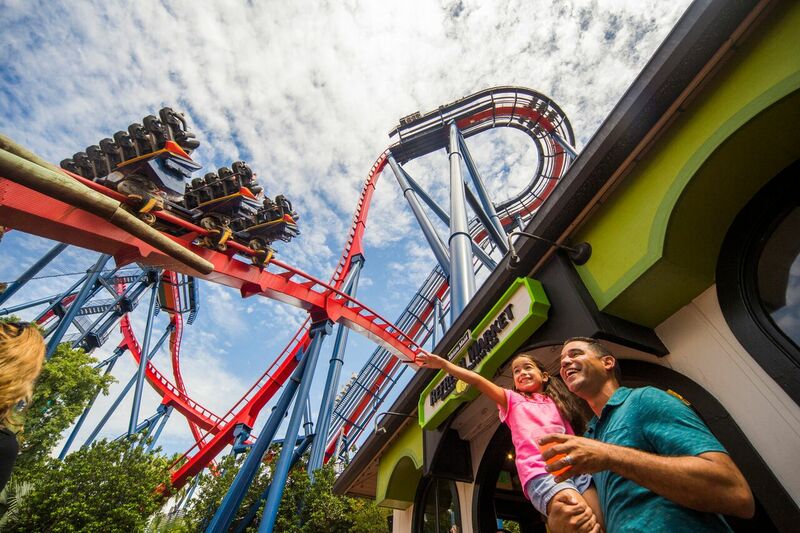 Over our more than 50-year history, we have built a diversified portfolio of 12 destination and regional theme parks that are grouped in key markets across the United States. Many of our parks showcase our one-of-a-kind zoological collection and all of our parks feature a diverse array of thrill and family rides, shows, educational demonstrations and/or other attractions with broad demographic appeal which deliver memorable experiences and a strong value proposition for our guests.